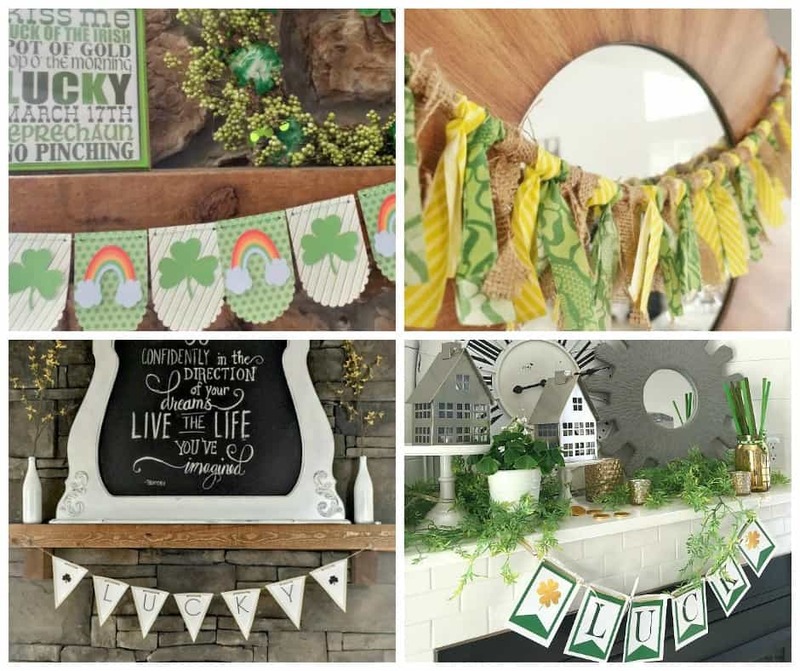 St. Patrick's Day will be here before we know it and who doesn't want to put up a little bit of decor to celebrate? 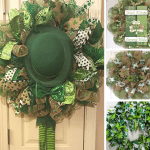 I try to keep it easy and simple for St. Patrick's Day and a great way to do that is by decorating with garlands. Holiday garlands are usually easy to make, don't take expensive supplies and sometimes the kids can even help me make it. 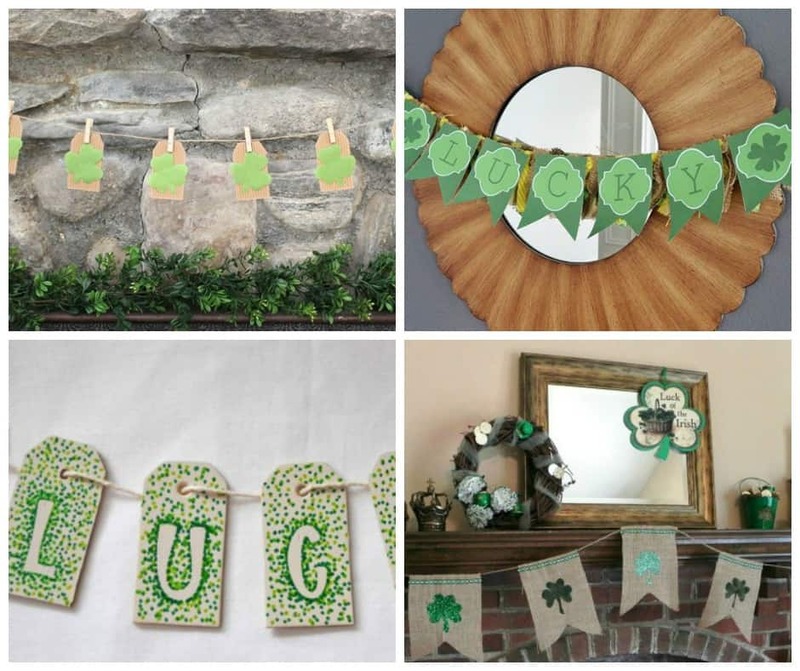 Here are 20 DIY St. Patrick's Day Garlands to get your creative juices flowing! 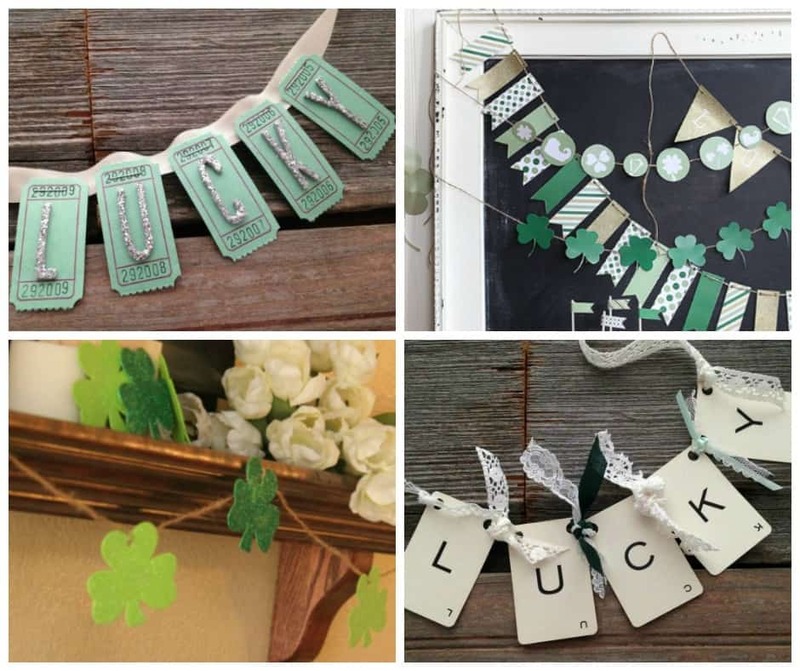 I love how creative this Lucky Ticket Garland is…these tickets are just plain cute! This DIY Shamrock Garland is sweet and simple. Perfect for hanging around the house. Upcycling old playing cards is genius for this Vintage Playing Card Garland. 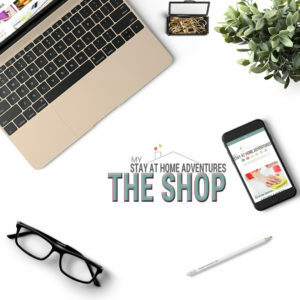 I love simple tutorials with free printables. 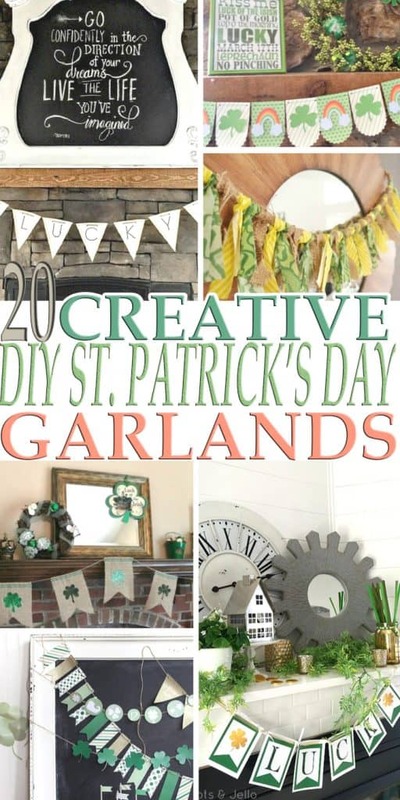 This Printable St. Patrick's Day Garland is perfect! Glitter soothes the soul, right? Well, it sure looks cute for this Glitter Shamrock Garland. I love all the different shades of green in this St. Patrick's Day Garland. Have you sewn on paper before? Well now is your chance with this Sewn Paper Garland. Don't worry…she tells you what to do! 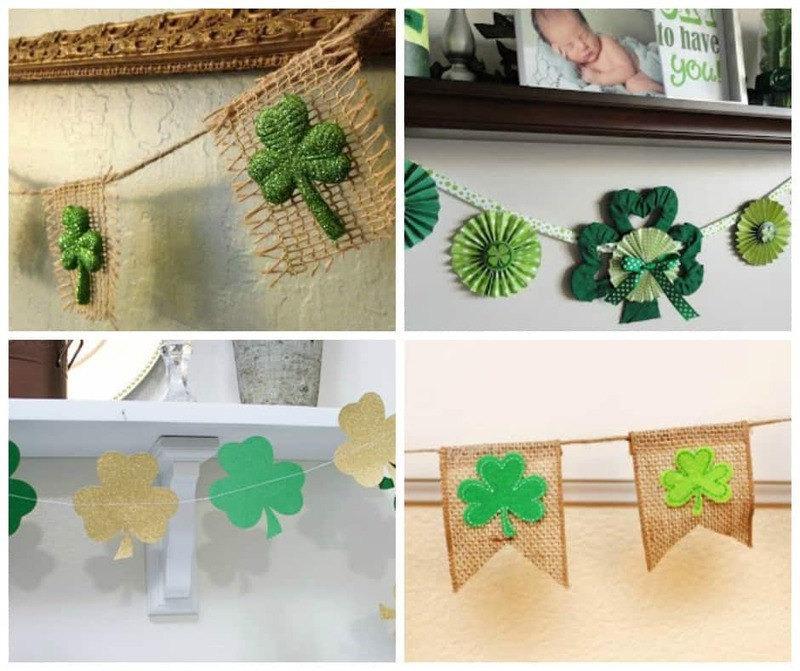 Burlap is such a versatile fabric and looks amazing made into a Burlap and Shamrock St. Patrick's Day Garland. A Clothesline Art Garland is super creative and a fun way to get the kids involved too! Making this Easy St. Patrick's Day Garland with the kids is a great way for them to practice a lot of fine motor skills. There is even a free printable template provided. 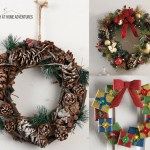 A simple Circle Garland is amazingly chic and the perfect way to decorate for the holiday. 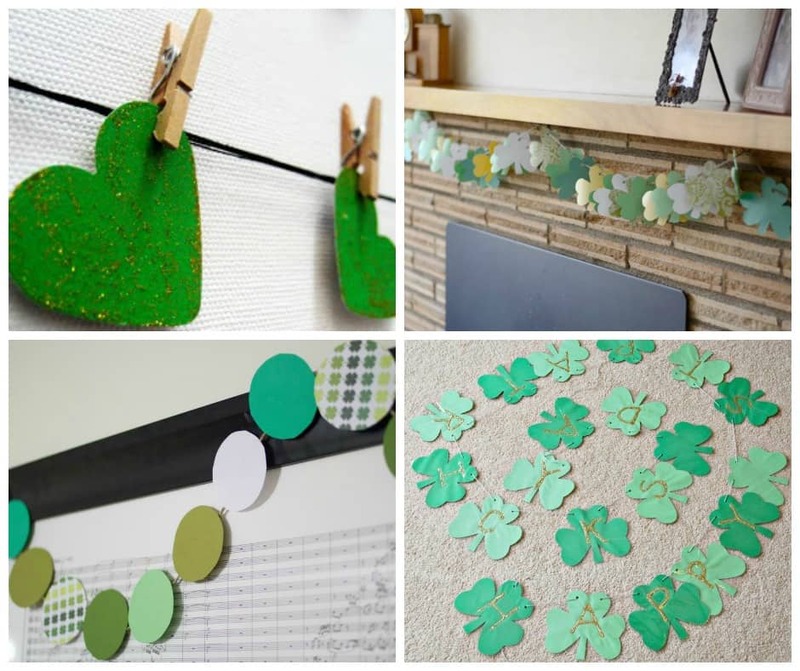 This Fun Shamrock Garland is a great craft project for families to work on together. The corrugated cardboard tags on this DIY St. Patrick's Day Banner are so rustic and look perfect with the twine. I love the pop from this Printable Lucky Banner. It looks awesome on that mirror too! Polka dots are the bomb and they work great for this Polka Dot Lucky Garland. I love the large size of this Burlap and Fabric Garland. 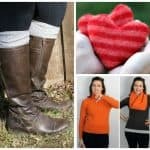 Plus it is a great way to use up old fabric scraps. This Rainbow Garland is adorable and really brightens up a room for the holiday! A Burlap and Fabric Bunting is a great idea and super easy to make! St. Patrick's Day Garlands don't always have to be green. This Elegant Lucky Banner is chic! The gold shamrocks in this Lucky Garland really pop! This one has a free printable available to help make the project even easier. These garlands are all SO neat. 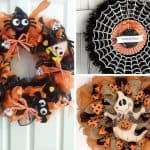 I love how easy they are to make with minimal supplies. Don't worry if you don't have a mantel. 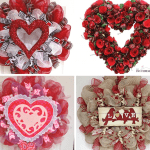 You can hang a garland on a lampshade, picture frame, doorway, etc. Get creative! There is definitely a garland here for every taste and decor style. 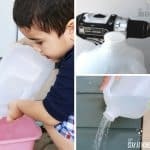 Be sure to PIN these ideas for later! After you are done making your banner, check out these great recipes to make for March!